Nancy Carol Cunningham, 79 of Huntington, WV passed away on Wednesday, October 31, 2018 at The Village at Riverview, Barboursville. Funeral services will be held on Friday at 12:30 p.m. at Beard Mortuary. Entombment will follow at Woodmere Memorial Park Abbey of Faith Mausoleum. Friends may call one hour prior to the service. She was born February 19, 1939 in Elkins, WV the daughter of the late Fred Cunningham and Audra O. Allen. In addition to her parents she was preceded in death by her step-father who raised her, Thomas B. Allen and also by a sister, Linda Strow. She retired with 43 years of service as a teacher and librarian at Lincoln Park High School in Michigan. She was a member of Michigan Education Association and Pacific Northwest Library Association. 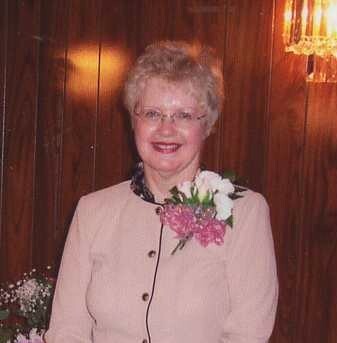 She spent many hours volunteering at Brownstown Hospital and Henry Ford Hospital. She is survived by her loving sister, Patricia A. Reed of Huntington; a special friend, Joe Hissom and friend, Lisa Butcher. She was very grateful for her caring friends in Michigan who faithfully kept in touch with her. Pat would like to thank the staff at The Village at Riverview for their love and support for Nancy. Online condolences may be sent to the family at www.beardmortuary.com.